Picture a child’s birthday party. Not just any child, picture what you think a “bratty” child would look like at their birthday party. Ripping through the gifts, impatient, not happy with any one gift, possibly complaining or whining about certain gifts. Oblivious to those around him/her. The child is then forced to say “thank you” by her parent. What feelings does that picture give you? Now picture a quiet, intimate party of two. Most likely a couple. Nowhere to go, just purely enjoying each other’s company. Little noise, calm, steady, no outcries or hectic moments. Love, joy, true enjoyment of who the other person is. What feelings does that picture give you? These are very different mental images, are they not? 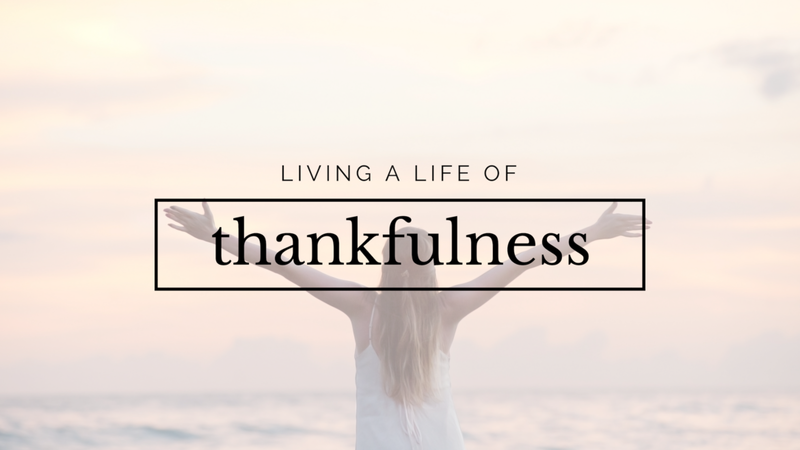 RC Sproul said, “God doesn’t want us to just feel gratitude, but for us to show it by giving thanks to God with our lives.” The little girl might have said thank you unlike the adults, but who was living their gratitude? Now take a personal inventory of your days. Are you living a version of the child’s birthday party? Full of impatience, ingratitude, lack of care for others, whining and complaining that things aren’t just what you want? Are your words saying thank you but your heart feeling discontent? Be honest and don’t feel ashamed, because this can be changed. You can turn from these ways and start afresh with a heart of gratitude. -Keep a daily journal of things you are thankful for. Not the big things (husband, house, kids etc). Stretch yourself to one small thing even if that is the only thing you can think of that day. -Learn to change your focus. Our mind looks for what we are focused on. If you are focused on problems and stress, you will continue to find them. Moment by moment, take captive of your thoughts and look for the good things in each moment. -Find an accountability friend. Someone to encourage you in your journey to thankfulness.